Notice: This is an old thread. The last post was 2536 days ago. If your post is not directly related to this discussion please consider making a new thread. This is the third extended and improved edition of the dictionary. 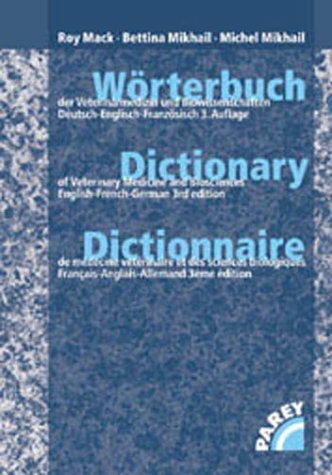 Previous editions having been confined mainly to English and German, this is, with the addition of French, the first trilingual edition. The number of terms has been expanded from 20 000 to 30 000. A partial thesaurus structure is provided in the form of broader terms, narrower terms, related terms, synonyms, antonyms and brief definitions, where appropriate. As before, there is a separate list of scientific names (of Latin origin), together with linguistic equivalents. Last edited by Motoko; 23rd July 2013 at 10:32 PM. Reason: UPDATE TEMPLATE. Last edited by Motoko; 12th April 2014 at 04:52 AM. Reason: UPDATE.